Hawaii — PJKoenig Golf Photography PJKoenig Golf Photography - Golf Photos For Those Who Love The Game. 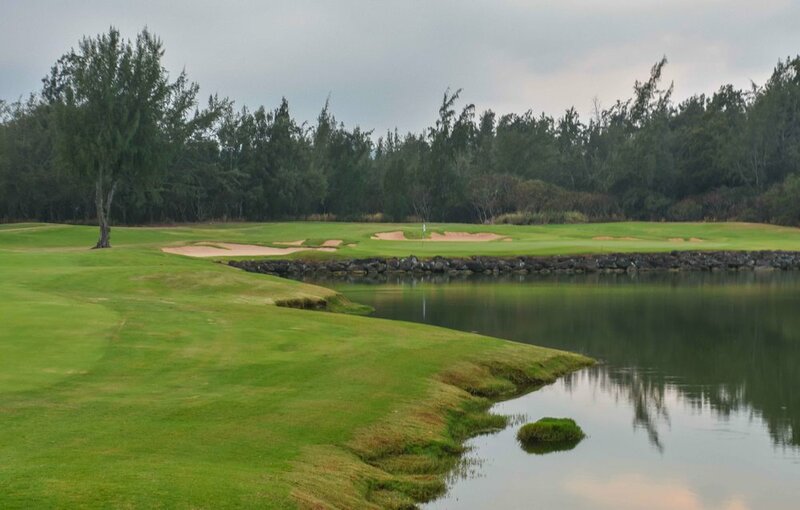 One of the first golf courses where I actually thought to bring my camera to take pictures. The result was a lot of poorly composed shots with a few good ones thrown in the mix. You will find the halfway decent ones here. 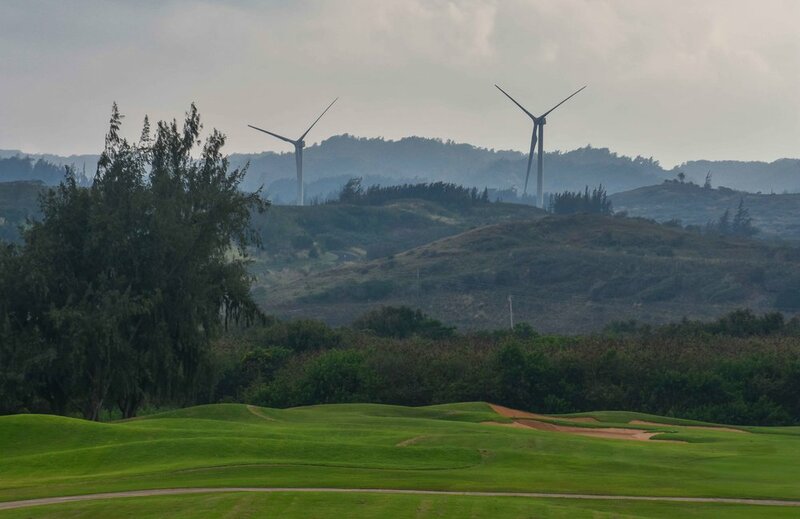 Designed by Coore and Crenshaw, the Plantation course plays host to the the PGA Tour's annual Hyundai Tournament of Champions. 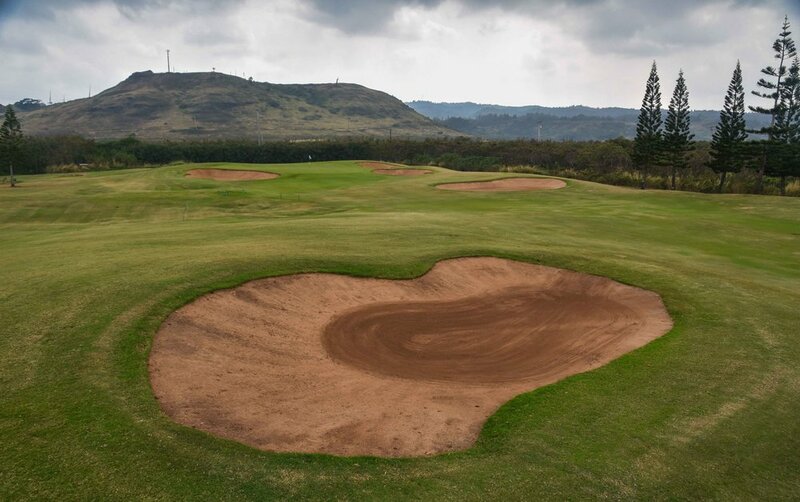 The course is a scenic and challenging test of golf. 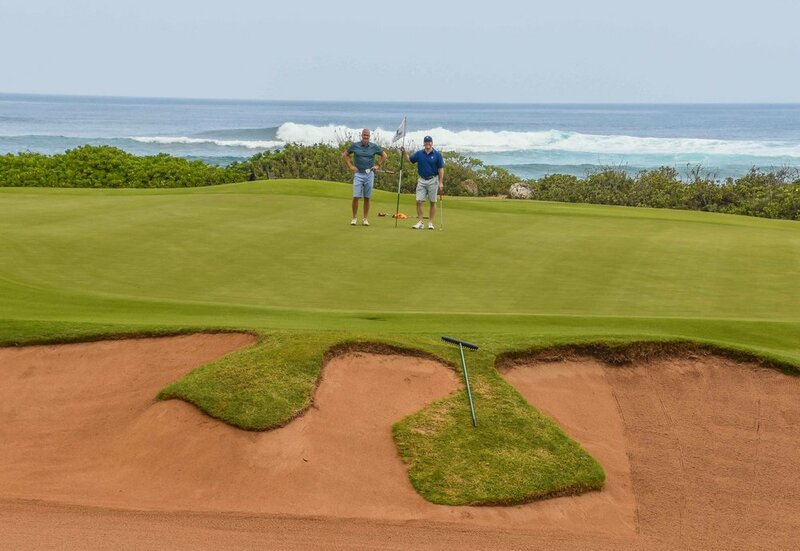 Be sure to remember that the ball always breaks toward the ocean. Several times I went against this rule of thumb and missed wide left by a good 12 feet. 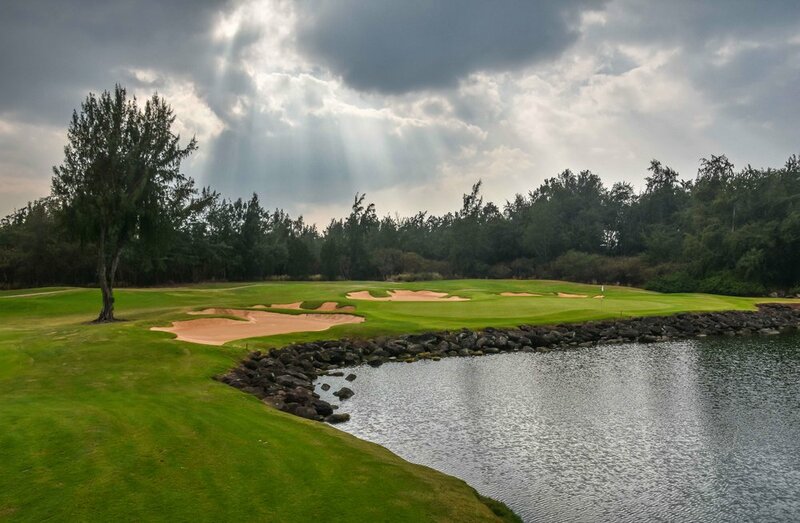 Fun fact: Tiger Woods' longest recorded drive of 425 yards occurred on the 18th hole here. Although his nephew, Tom, is a better known name to the golf world. 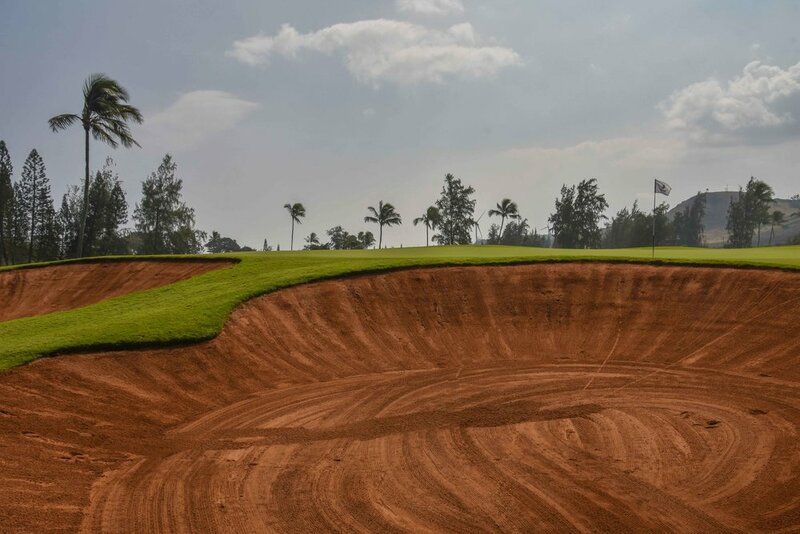 George Fazio has built a course that remains enjoyable even after 40 years of time at Turtle Bay. 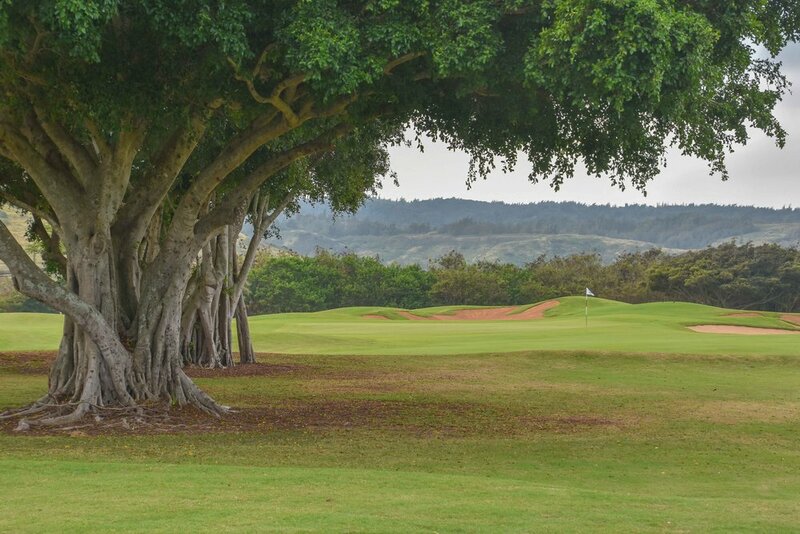 The course is an easy walk and a great warm-up for the Palmer course. 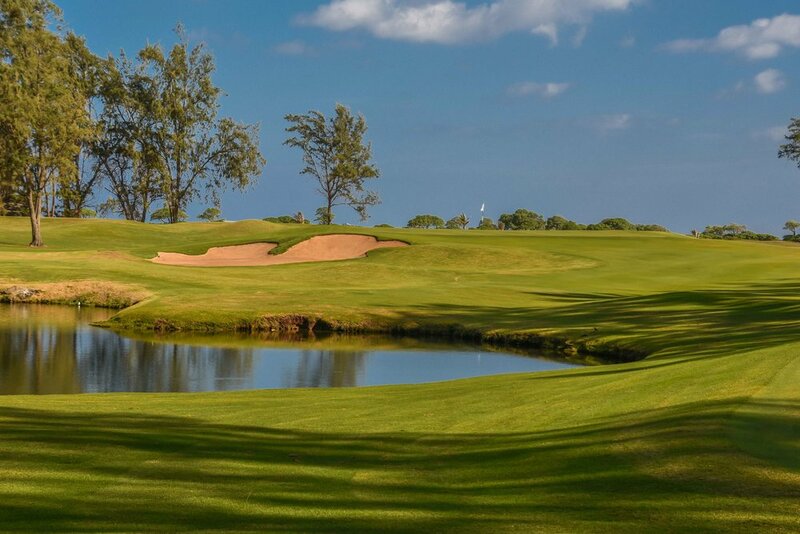 For those golfers staying multiple days at the resort, the Fazio course provides a nice change of pace. Our friend, Captain Joe Garvey, would card a career round 65 on our trip here in 2017. He invoked the Jason "All Day" strategy by walking off all his putts and taking things PGA Tour serious. I invoked the "whatever" approach and shot 72. Normally 72 sounds pretty good but when you put it next to a 65... Congratulations to Joe on his career best. 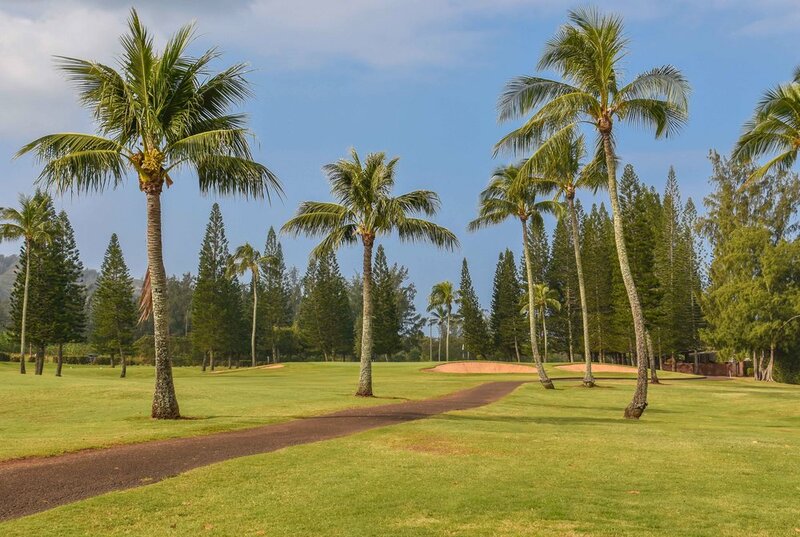 Opening in 1992, The Arnold Palmer Course at Turtle Bay Resort is arguably the best course on the island of Oahu. 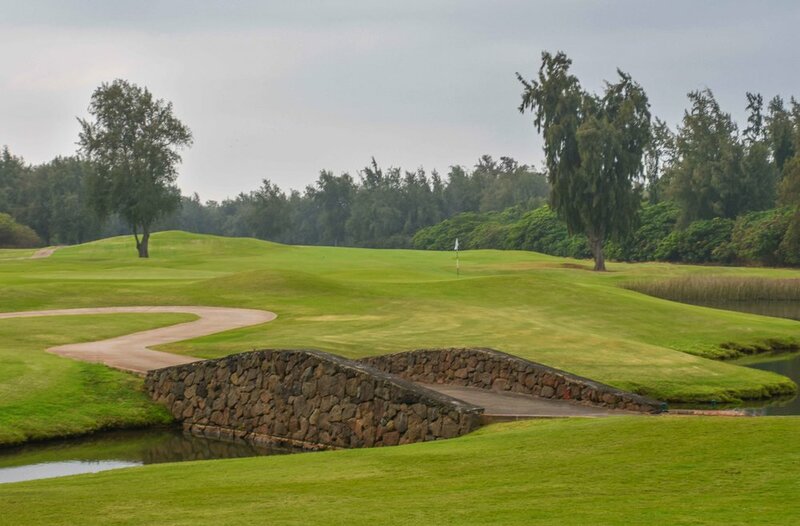 A member of Golf Digest's 100 Greatest Public Golf Courses, The Palmer Course winds it's way around natural wetlands and through dense Hawaiian jungle. 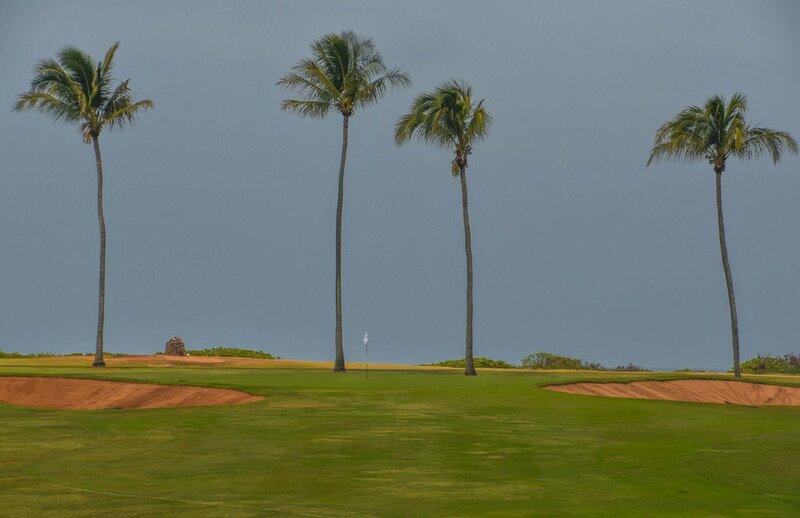 The course finds it's way to the North Shore of the island on it's signature 17th hole. 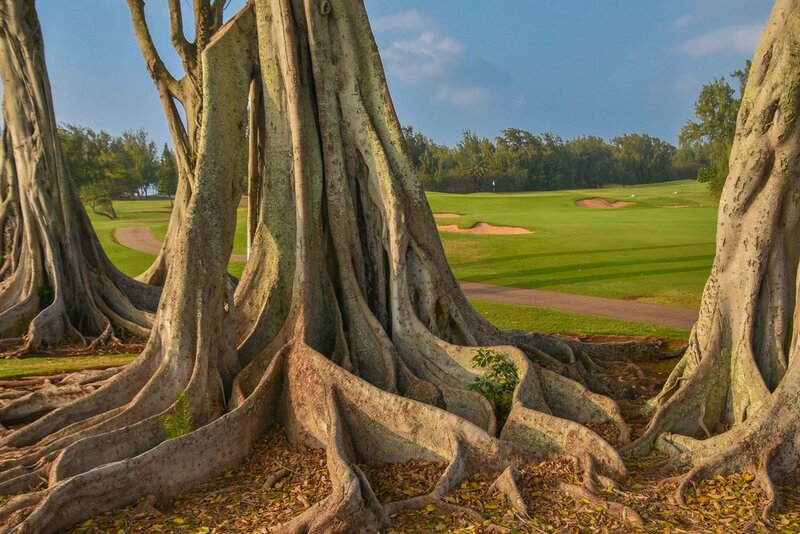 Some of my favorite features of the course are it's incorporation of the local banyan trees. 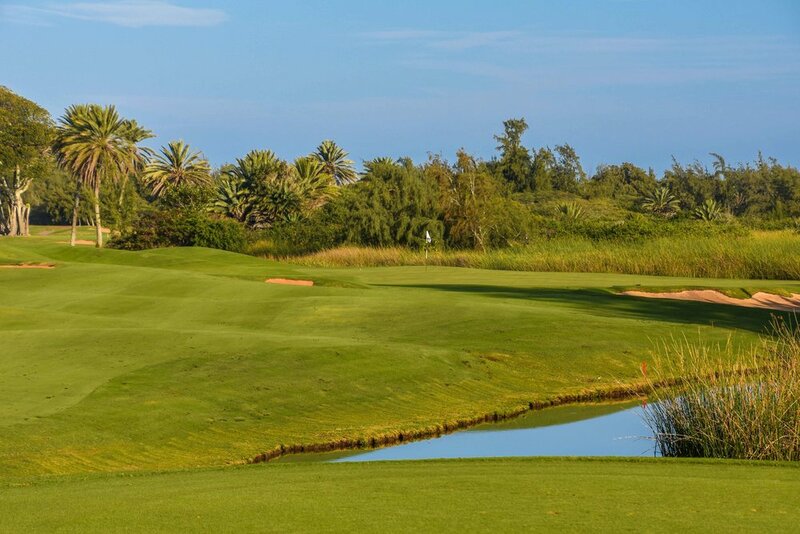 On an extended Super Bowl weekend, we signed up for the 3 day unlimited golf package on the Fazio and Palmer courses. 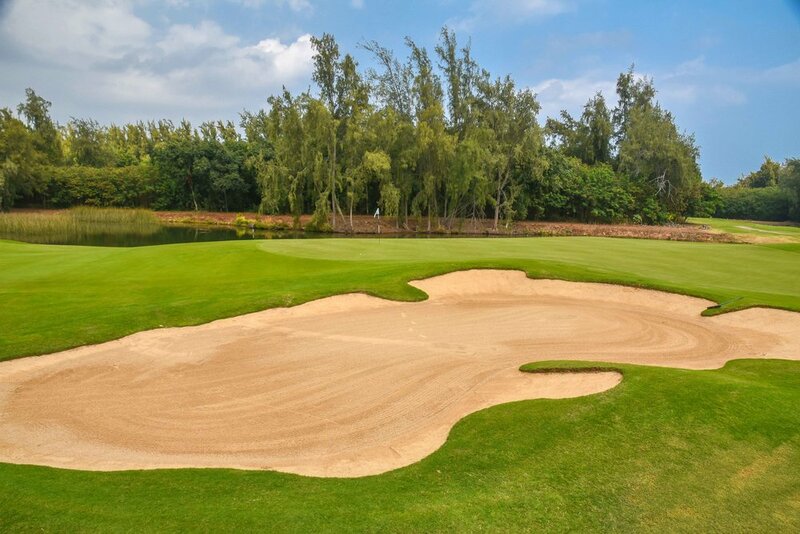 We went for 36, 54, and 18 holes each day before taking in the Super Bowl on Sunday. 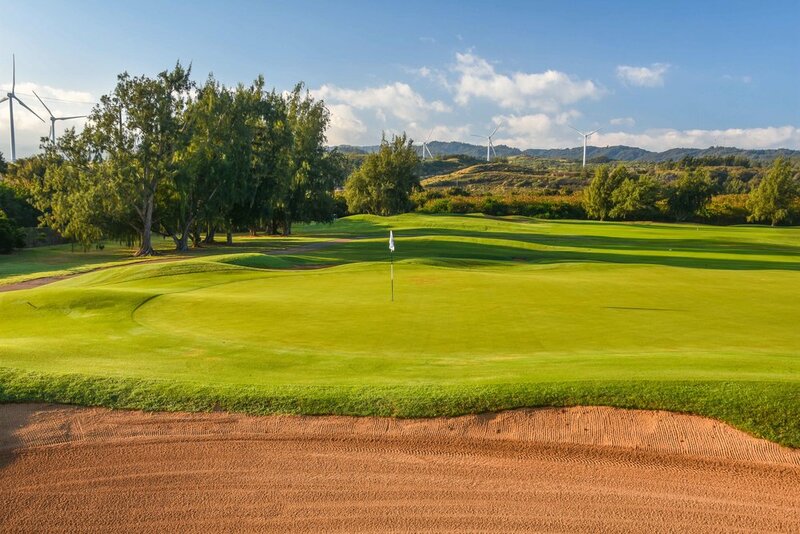 I was able to play the Palmer course 4 times trying a different set of tees on each round. The course was tremendous fun each time.